If You’re a First-Time Author – Don’t Do This! – I'm Published! If You’re a First-Time Author – Don’t Do This! Although there is something inherently romantic about obscurity, there must be an element in your book that connects with at least half of humanity for it to be successful. I’m not kidding. Take The Da Vinci Code, for example. This book was about an incredibly obscure sect within the Roman Catholic Church. Yet, the Da Vinci Code has sold over 60 million copies.Its success wasn’t due to its award-winning writing. This book became wildly popular because it hit a universal nerve. Its story appealed to every person on the face of the earth who has ever questioned religious doctrine. Although hitting this universal nerve made it commercial fiction, the book was just as compelling as it was thought provoking. Dan Brown would have made a huge mistake when looking for an agent if he positioned his book to appeal only to the group about whom he was actually writing about. Which is to say that the potential audience of your book is wider than just your subject. When you unearth your book’s universal elements… especially those that hit a universal nerve, you’ve got a potential bestseller. If in doubt, think of it this way. The larger your audience, the larger your book advance. Even if your book is about something obscure, you must position its appeal as universal in your submission. Well, that’s just what I call “The Deal,” even if it seems like a raw one. Agents expect your best work up front and on spec because it’s the only way they can judge the quality of your work. Say you’re developing some prime real estate property. Would you hire a contractor to build your house just because he had some great ideas? I hope not. Most likely, you’d want to see an example of his finished work before you signed a contract. Perhaps, you also want a list of references. The same goes for literary agents and writers. 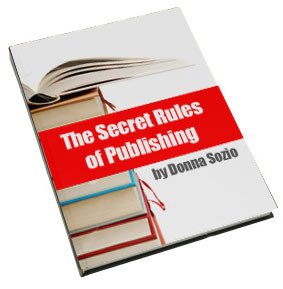 An agent or publisher needs to see your finished product before they sign you. Simply to see what you can build. Once you have a successful track record, the rules change. Then if you play your cards right, you won’t write on spec anymore. Many writers have the goods but they hide their own mega blockbuster idea. They inadvertently down play it down under too much confusing background information. Or they don’t express it in a succinct to the point engaging way. When a proposal is foggy, it’s hard for an agent to see what is in front of him. Although literary agents and editors may enjoy collecting old books, they aren’t archeologists. They don’t excavate your query letter or book proposal looking for treasure. If your bestselling concept doesn’t pop out and bite them on the nose, the fate of your submission is doomed to join the Slush Pile. It’s safe to assume that literary agents and editors have very poor vision. In fact, their vision is so bad that it’s your job to make them see the value of your work. You can’t count on an agent to just know that your book is a bestseller without at least a little illumination. Humility may be a virtue but not when you’re selling your book. Don’t be humble about your saleable concept that connects with half of humanity. Don’t explain when you can entertain. Instead, take what I call the Newly Engaged approach. Turn the spotlight on your diamond. Only then can you expect a crowd of admirers.